Born a few short years after Return of the Jedi debuted, I never saw any of the Original Trilogy during their initial theatrical releases. Thus, the above voice over, taken from a television spot promoting an airing of A New Hope and accompanied by clips of Luke, Obi-Wan, Leia, and Han, stands among my earliest memories of the Saga. That brief advertisement spoke directly to what I’ve since come to regard as the central conceit of Star Wars. It is the figures of familiar faerie-tales, archetypes from antiquity known to all, painted with broad brushstrokes but a particular palette. Of course the Hero undertakes his journey, to save a damsel in distress, no less, and naturally he’s accompanied by a wizened mentor and a roguish foil. Detailed by Joseph Campbell, who in turn called Lucas his greatest student, this is the monomyth. Such is the Story, and serves as the skeletal structure by which Star Wars stands, fleshed out by the evocative imagery of American cowboys and Kurisawa’s samurai as underdog freedom fighters against Nazis with The Bomb… in space! It’s an episode of Flash Gordon adapting The Hidden Fortress. It’s theft of the best sort, stealing from sources foreign and familiar, recent and remote, reimagining and reconstructing such into a tale altogether novel. The Force Awakens is not novel. It is a new A New Hope, but not in the manner it ought to have been. To have truly replicated the heart of the original would have required the same structures and similar sources. But the bones of Force Awakens are not the monomyth, but rather the very particular plot points of Episode IV, hit with the precision Kenobi strangely attributed to Imperial Stormtroopers. There’s the orphaned desert dweller dreaming of deliverance, wistful and wondering of lost lineage. There’s the rambunctious robot, secretly stashing the mysterious MacGuffin, driving forward the plot as it plods over the sands and under the suns. There’s the world-devastating weapon of mass destruction, it’s need for ventilation it only vulnerability. Perhaps not nothing more, per se. There’s a dash of Han Solo in Rey’s aptitude toward maintenancing the Millennium Falcon; there’s a pinch of Princess Leia’s pulchritude behind her own beauty. But such is true of all three of the leads, that they borrow bits and pieces from the previous protagonists. Finn is “a little short for a Stormtrooper” as he rescues a rebel leader from torture and interrogation abroad an imperial instillation. 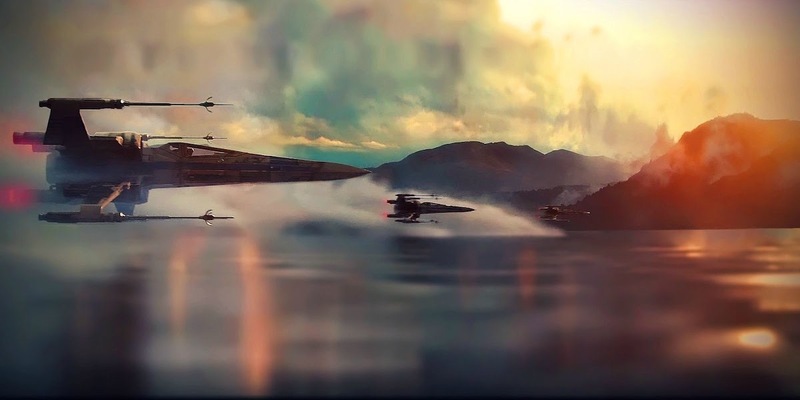 But Poe’s more pilot than princess, flying his X-Wing with more skill than Skywalker ever showed. And both are more apt with a good blaster at their side than ancient weapons and hokey religion, like a certain smuggler. That Star Wars should steal such from other sources is not just permissible, but a proud tradition; that Star Wars should steal from Star Wars and it only is a level of pandering of which not even the prequels were as guilty, the kind of narrow-focused nostalgia of which Abrams’ own Star Trek Into Darkness was also accused. Kasdan, Abrams’ co-writer on the script, did not succumb to such repetition when penning The Empire Strikes Back or Return of the Jedi, neither of which merely repeated the basic beats of A New Hope, but as true sequels advanced the story. The protagonists are particularly problematic. Whereas Luke, Han, and Leia, by conforming closely to type, were free to take on flavors unique to the universe Lucas created, thus feeling both familiar and distinctive, Rey, Finn, and Poe are derivative, mere mix-ups and mishmashes of the former. There’s no knight. No princess. No dashing rogue. Just homogenized heroes. Such is the film’s most egregious sin. The performances were of a more mixed quality. Adam Driver and Dhomhnall Gleeson in particular lacked the presence required by their respective roles, much to my surprise. I was from the first trailer dubious regarding Boyega, and he disappointingly did nothing to dispel my doubts. Daisy Ridley for the most part delivers and delights, though her “use-the-Force” face is and forced and overwrought. Oscar Isaac is outright flawless, fully expected given his filmography, particularly his performances in Sucker Punch and Ex Machina. Oscar worthy, however, is Andy Serkis as the enigmatic Supreme Leader Snoke, (who I’m calling now is Palpatine’s master Plagueis). The real breakout star, though, is BB-8, the film’s most endearing and enjoyable character, injecting every scene he’s in with equal measures of humor and heart. He is the antithesis of Jar Jar, sure to become a favorite character of many fans like myself. Another of the film’s strengths is Abrams’ cinematography, every shot superior to any in the Original Trilogy. It’s the exact same style showcased in Star Trek, sans the lens flair; the annihilations of Hosnian Prime and Starkiller Base are more reminiscent of Vulcan’s destruction than Alderaan’s. If there’s one fault (and such will come as a shocking surprise), it’s an overuse of real world locales; the planets of Takodana, D’Qar, and the First Jedi Temple are all indistinguishable from Earth and one another, in a way that Yavin, Endor, and Naboo never were. It will be interesting to see if such sentiment is expressed by Star Wars fans en mass. It’d be ironic, given the reputation of the Prequels, if one of the major derisions of Episodes VII and onward were the underuse of computer generated imagery. 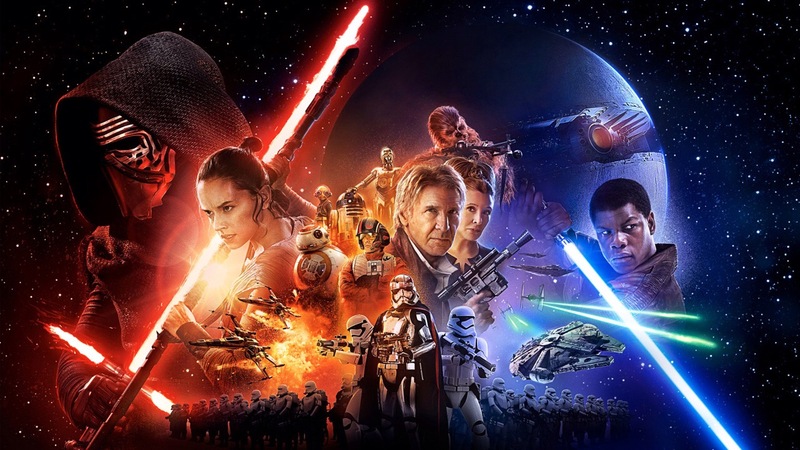 I more than kept my expectations for The Force Awakens in check. Upon first watching the trailer, I said aloud, to no one in particular, “I have a bad feeling about this.” Even reading Marvel’s magnificent Star Wars, Darth Vader, and Shattered Empire, seeing the quality of the franchise under Disney’s stewardship, I felt none of the hype, experiencing not so much anticipation as apprehension. Ultimately, I suspect such is the singular reason I walked out of the theater without deep disappointment. There were certain scenes, especially among the early sequences on Jakku, that stand among the best of the Saga, but there were just as many, particularly featuring Fisher, Ford, and Hamill, which served solely to fellate the fandom. As the credits came to a close, John Williams’ score suddenly silenced, I heard behind me tears of elation emanating from some fellow film-goers. I was in that moment reminded of anecdotes of similar reactions upon the midnight premiers of The Phantom Menace, hailed by the same sorts as Star Wars at its best for weeks and months under the inebriating effects of the cultural zeitgeist, till time’s distance brought sober reflection and subsequent rejection. Now once again drunk on the fruit of LucasFilm, how will we come to regard The Force Awakens when we watch it at last with dispassionate clarity? My suspicion is that the Sequels shall prove properly the property of this generation’s youth. Those a few years my senior will lament that it’s a shameless and inferior copy of the Original Trilogy, their only true Star Wars, then and forevermore. Those a few years my junior may yet hold fast to their love of the Prequels and animated series. As for my generation, we’ll tell you the true Star Wars is labelled Legends, like the Jedi purged from the Galaxy Far, Far Away, the remnant of that once great order hidden on our bookshelves and Steam libraries; ours is Jedi Outcast and Knights of the Old Republic, Tales of the Jedi and Legacy of the Force. Few such stories may contain the names Solo or Skywalker, but they contain knights, and wizards, and princesses, and pirates, and all the other archetypal character and familiar motifs that have defined Star Wars since the start; that’s more than I can say for The Force Awakens.